A “Nice” way to travel around the French Riviera! There is a lot of hype behind the French Riviera for it’s beauty, beaches and luxury lifestyle. Keyword: luxury!! It is not a cheap area to stay, however the following may help you save some money, while still allowing you to see some of the most attractive tourist areas such as Monaco, Nice and Cannes! Originally my plan was to start in Monaco and take the train to Nice and then Cannes until I started looking up the price of hotels! I couldn’t find anything for under €180 a night and there were no hostel options except for in Nice. As it turns out, these areas are not far from each other so I decided to stay in a hostel in Nice which was right in the city’s center and it only cost me €30 a night (there were others for cheaper). Once you are in the city’s center, everything is close by so you can walk or take a tram/bus if you are feeling a bit lazy! 1. Castle Hill (Colline du Château) – Surprisingly, there’s no castle, as it was totally destroyed in 1705, however the area does give you the most stunning views of Nice! There is also an amazing waterfall, along with playgrounds and parks where you can take a picnic or grab some light food like sandwiches and snacks. I am warning you though, it’s a tiring hike up the stairs to the top, but it is completely worth the effort. 2. Place Garibaldi – It is the oldest square that can be found in a large city. Place Garibaldi has many shops, cafes and restaurants that you can pop into while visiting. You can find it at the edge of Old Town and by the port area. 3. 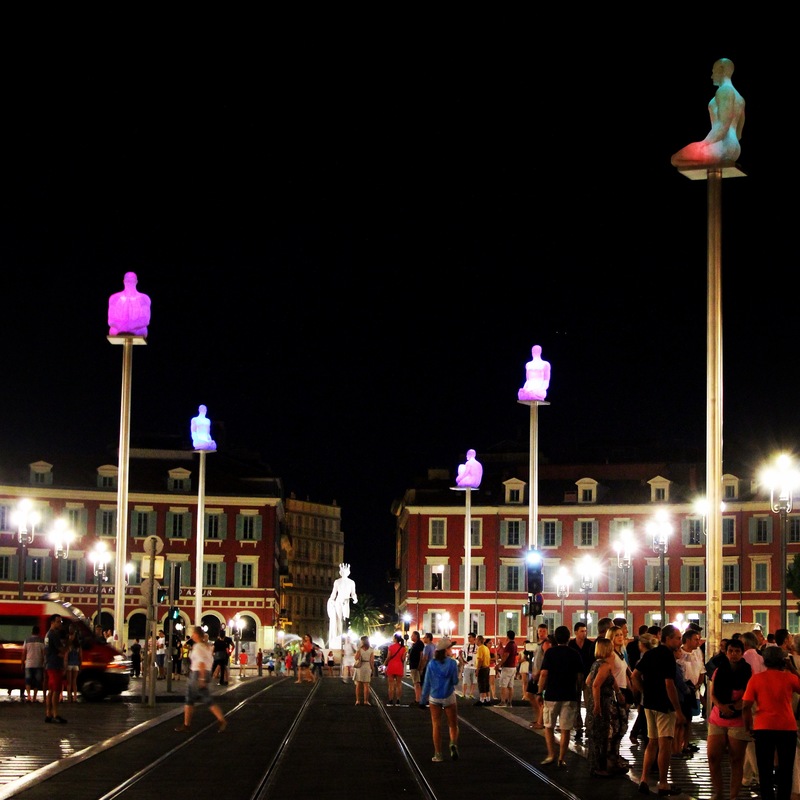 Place Masséna– The main square in Nice which has restaurants, stores and sometimes events/festivals. The thing that really sets this square apart is that it’s aligned with seven white statues on top of poles called “Conversation in Nice” and represents the seven continents. Each statue is facing the direction that the continent represents and at night they light up in a multitude of colors. 4. Flower Market – Walk around and enjoy the colorful plants and exotic flowers. The market is open everyday from 6am-5:30pm except for Mondays and Sunday afternoons. You can find it within the Old Town. 5. 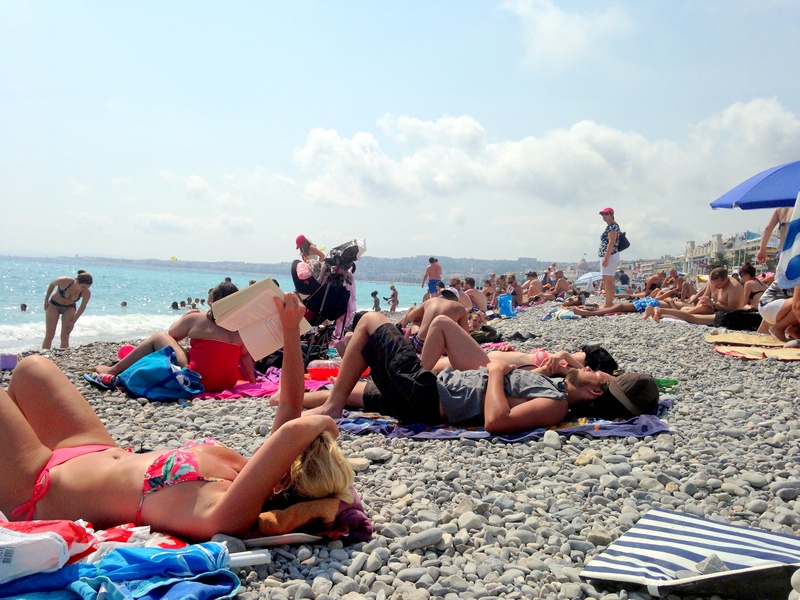 Promenade Des Anglais– If you want to walk along the beach then this is where you would do it. This long walkway brings you along the Mediterranean and is lined with beaches, restaurants, hotels, biking paths and great views. You can spend plenty of time strolling along the promenade and that time is best spent with a gelato in hand! 6. Old Town – This is a cute area to walk around with its narrow, cobblestone streets and is lined with restaurants and shops. If you want to try some authentic French street food or buy some souvenirs, this really is the place to go. 7. Beaches – Warning: these are stone beaches! This is not something that I was aware of before I visited the beach, but once I did, I realized that it was incredibly uncomfortable when I was trying to lay out on a bunch of rocky stones, so bring a beach mat with you. Some hotels/hostels let you rent them for free or for a small cost, so check with your accommodation before making your way to the beach. There are of course plenty of places to purchase a relatively cheap beach mat near by if that is your only option. 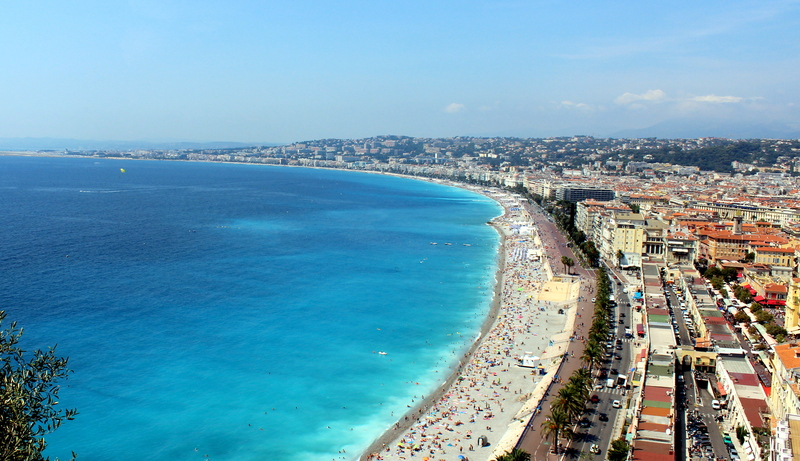 Now that you have seen all there is in Nice, its time to go explore the rest of the French Riviera! 1. Eze – This hilltop medieval village is only a 15 minute bus ride, there is no train option. If you are also planning on going to Monaco then you can take the bus to Eze and afterwards take a bus from Eze directly to Monaco. You would have enough time in one day to see both as long as you are an early riser. Make sure you pay close attention to the bus schedule. The bus only runs once every hour. I was late by one minute and had to wait for the next one. 2. 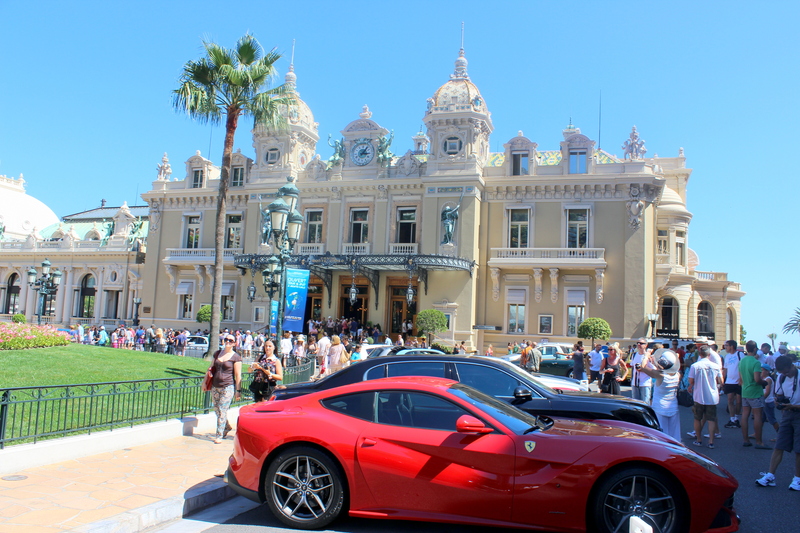 Monaco – Go to the infamous the Monte Carlo Casino and stare in awe at the over the top luxury cars! It is a 20 minute train ride or a 50 minute bus ride depending on traffic. 3. 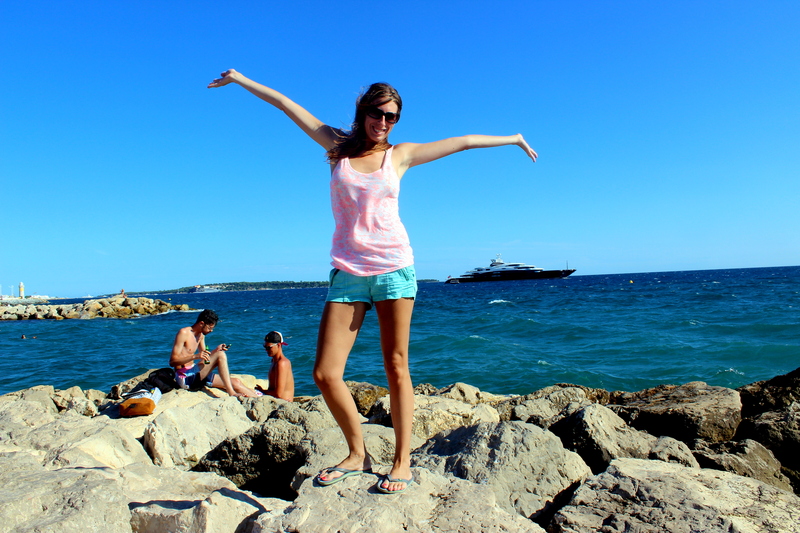 Antibes – Known for its yacht port, Picasso museum and Medieval market. It is on the way to Cannes on the train and is about a 20 minute train ride. I didn’t go because there was bad weather in the morning, however I was told that you would have enough time to stop off there before you moved on to Cannes. 4. Cannes – Home of the Cannes Film Festival and the quintessential of celebrity glam! Its is about a 45 minute train ride. If you take the bus it can take up to two hours or more. The beaches here were the best that I found during this trip. 5. St. Tropez – If you want more beautiful beaches and scenery, then this really is a lovely place to visit. It is a little further out taking about an hour and 45 minutes passing Cannes along the way. While getting around all of these areas in France, you can take the bus or tram for €1.50. The train stations are in each area except for Eze. The trains drop you off in the city’s main area and is walking distance to most areas of interest or close to bus stops depending where you want to visit. If you are staying in Nice and flying in/out of the Nice Côte d’Azur International Airport, you can take the standard bus which is €1.50 and takes one hour or you can take the airport bus which is €6 and only 20 minutes. Want to see more of Nice? Check out my Photo Essay! 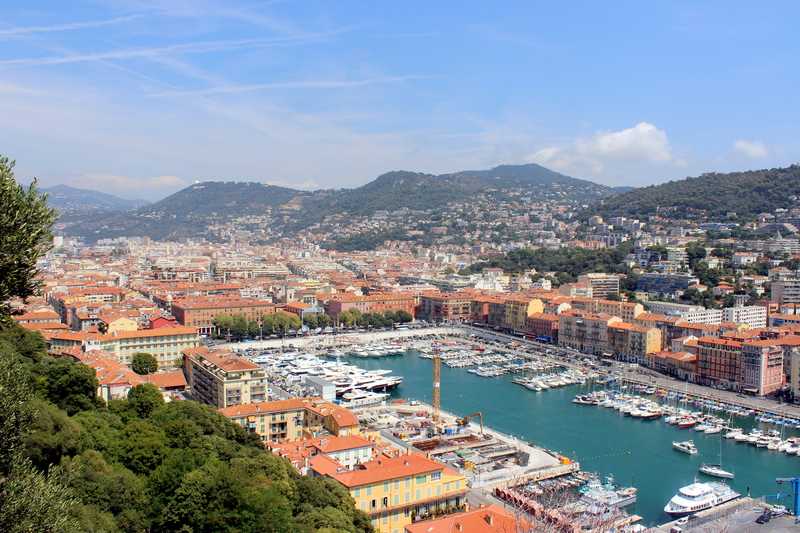 I would love to head to the French Riviera–it looks gorgeous! That’s great you were able to find cheap lodging in Nice. Great recap of the area! Obviously the French rivièra has always had something posh and I couldn’t help but feeling exactly so when visiting a couple of years ago. it’s a lovely place however and much better than many people think! It worth visiting. I loved it!! Not a big fan of cobblestone beaches but the one at Nice is very Nice!